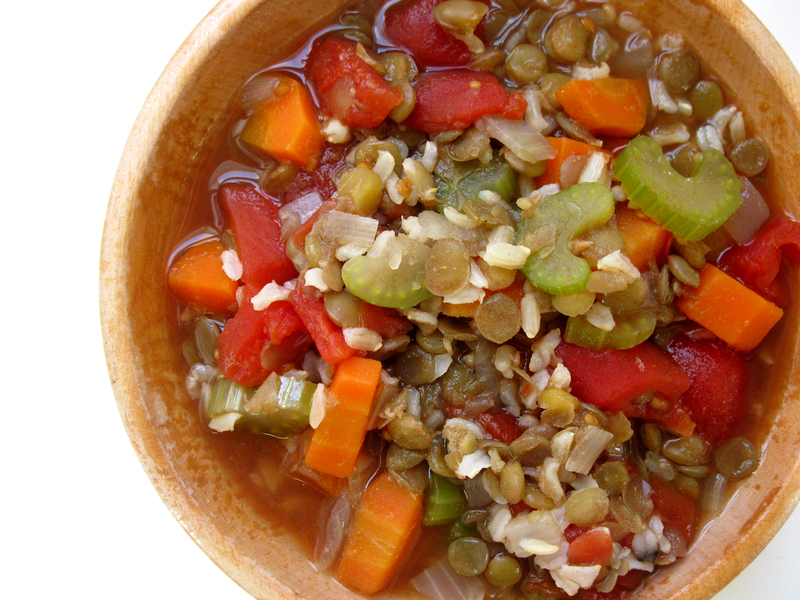 Easy Green Lentil and Brown Rice Soup | Live. Learn. Love. Eat. Now that it is getting colder out, soup is a must! 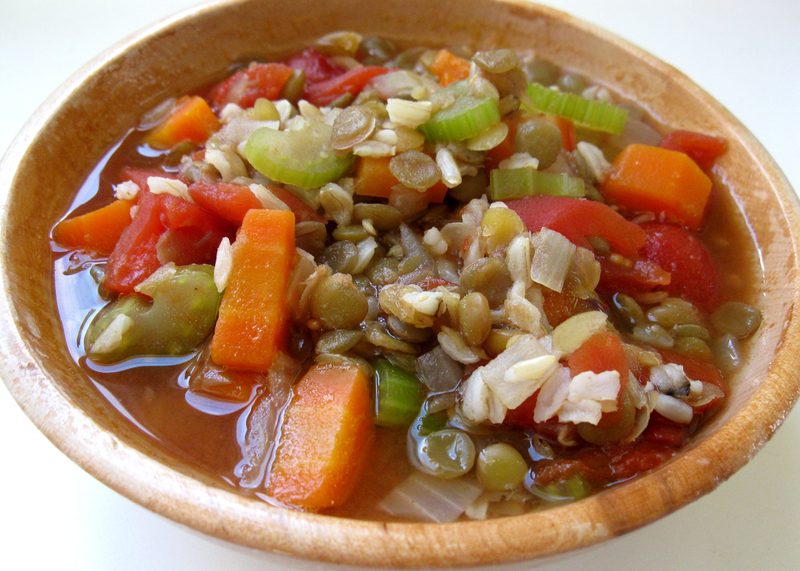 I love this soup because it is easy and delicious as well as hearty and satisfying and it is loaded with the goodness of veggies, green lentils and brown rice! This is another meal I love because there are enough leftovers for our family for at least one more meal. Makes one large pot of soup, serves 8-10. Feeds my family of four for at least two meals. Bring 7 cups of water to boil in a large soup pot. Add the lentils, reduce heat to med-high, cover and boil for 15 minutes. Add the diced onion, carrot and celery along with the remaining 3 cups of water, diced tomatoes and vegetable bouillon powder. Return to a boil and cook another 15 minutes, until the vegetables are fork tender. Finally add the cooked brown rice. Return to a boil, reduce heat and simmer 5 minutes more. Pingback: Healing | Live. Learn. Love. Eat.